From the comfort of his Gordon backyard, 22-year-old nursing student Trent Ramsay is helping critically injured people in Thailand get to hospital alive. Mr Ramsay has become the vice-president of Heroes Need Heroes, a charity that ships decommissioned ambulance and rescue equipment to struggling emergency services in Thailand. “The majority of our ambulance and rescue equipment, including lifesaving defibrillators, are destroyed when Australian standards say they are at the end of their working life,” Mr Ramsay said. Mr Ramsay completed a degree in paramedics before starting a masters in nursing. 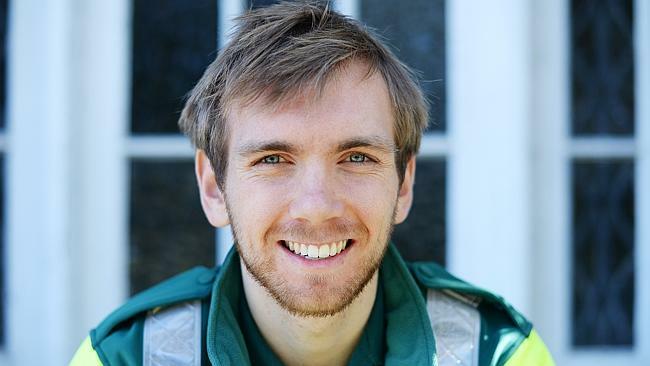 He also works as a private paramedic at motor racing events and as a ski instructor for the disabled. He said HNH was founded by Tasmanian paramedic Michael Fawcett in December last year. Mr Fawcett was on holiday in Thailand when he gave first aid to a young girl who was hit by a car and later died. Mr Ramsay said HNH had provided CPR training and equipment to more than 100 Thai park rangers and would soon begin training in regional Thai schools. The charity also used donations to purchase the first automatic defibrillator for the town of Kanchanaburi and will soon expand its work into Fiji. “We rely heavily on the generosity of people and the funds we raise to help our frontline heroes save lives,” he said.